Once again i find the AERA annual meeting engaging and worthwhile. I gladly yield to the seductive pull of passionate people sharing what they know and do. And, as usual, i have seen some really smart people give some really bad presentations. Speakers talking at onehundredmilesanhour to squeeze in everythingtheywant tosay. Speakers going substantially over their allotted time. Speakers showing slides with paragraphs full of words in small unreadable type. Speakers standing facing the screen instead of facing the audience. Most presentation problems can be solved by rehearsing in advance. Timing. Practice your presentation before you come to the conference. Use a watch or stopwatch. If necessary, shorten your talk to allow you to speak at a normal relaxed pace and still hit the high points. When a speaker goes over time, that cheats the others and makes the audience restless. Visuals. Powerpoint slides work best when they are simple and colorful. Paragraphs of words and complex tables are neither colorful nor simple. Save those for handouts or downloadable PDFs. You know those details, we don’t and we must fight to grasp everything while you’re saying something else. Audience engagement. We would rather see your face than your back. If you read from your projected slides, we cannot see your face. And reading from the screen makes it appear that you don’t know your stuff. Write your main points on index cards, hold them in your hand, and face your audience. Videotape yourself and critique. Use a smartphone or generic videocam to record your practice presentations. Check for the above points. Practice and record again until you’re comfortable with the way you come across. If your work is important enough to present, it’s worth presenting well. 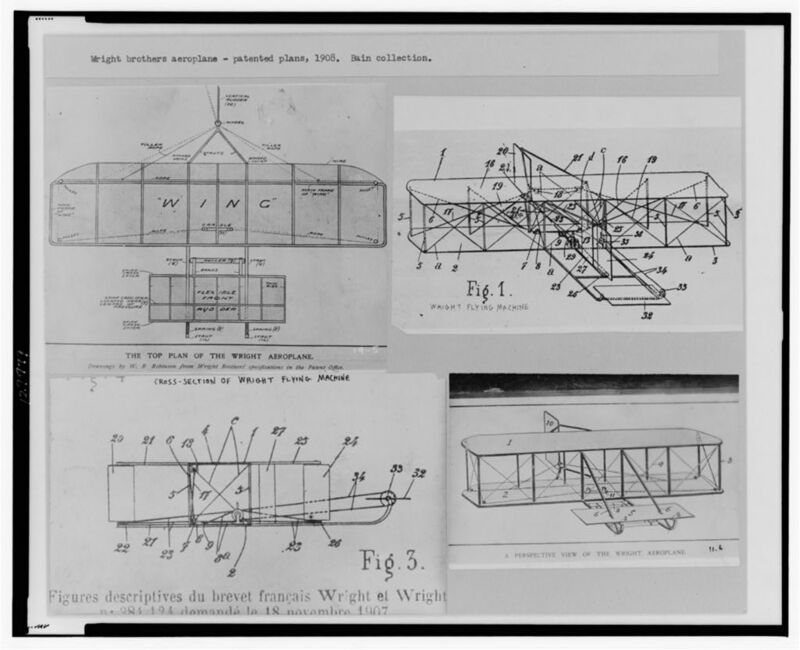 The Wright Brothers finally designed something that could fly, so maybe we could too. We want to create an exchange, or a collaboration, that would more closely knit research conducted in our School of Education with the teachers and organizations that could feed into it and benefit from it. After two years of fact finding and data gathering we called our inaugural planning meeting. 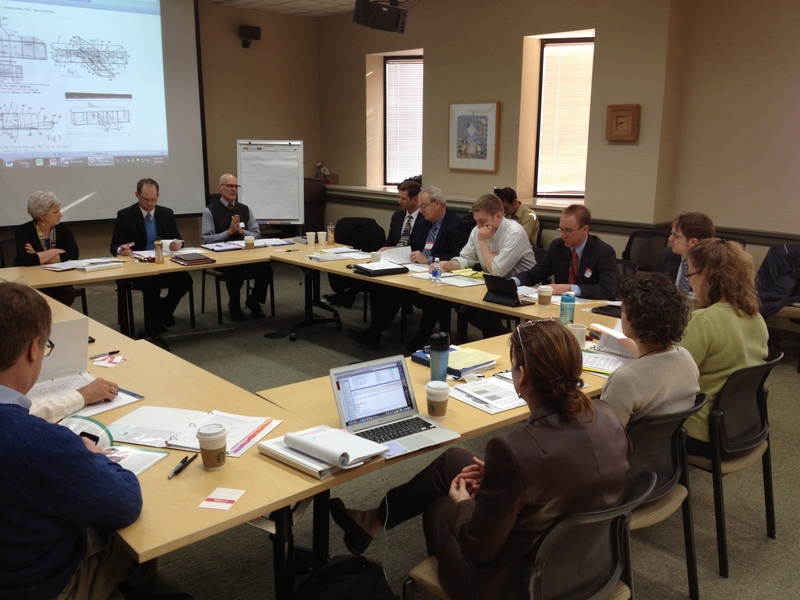 We invited representatives from faculty, staff, statewide organizations, and school districts. 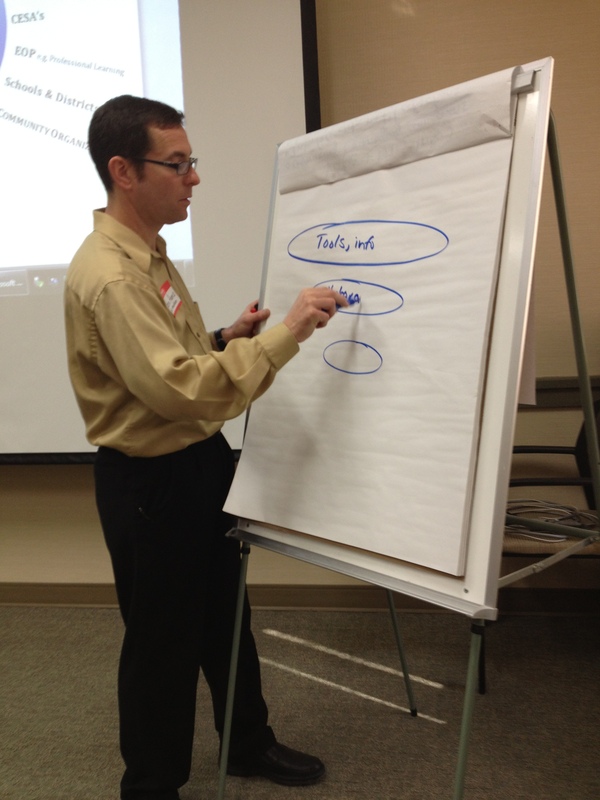 A professional facilitator guided our 4-hour discussion so that we could take notes and participate. Create timeline including school districts and issues of need. The immediate task is to create a summary and proposal document to present to the Dean. We solicit your input for a proposed ‘research exchange’ that would serve the needs of practitioners, administrators, and researchers. Adam Gamoran (Wisconsin Center for Education Research) and Jack Jorgensen (UW-Madison Education Outreach and Partnerships) have signed a formal agreement proposing ways to strengthen the connection between the research conducted at WCER and outreach activities conducted by School of Education. One outgrowth of this initiative is the proposal to create a “Research Exchange,” or central hub in the School of Education where faculty/researcher needs and interests related to educational research are matched with the needs of the educational community, and vice versa. Although based at UW-Madison, this exchange would seek to serve statewide interests and, beyond Wisconsin, practitioners and researchers more generally. We solicit your ideas to help further shape this idea. We also plan to talk with groups of superintendents, district staff, and community organizations. We are reaching out to you as a valuable source of ideas for shaping such a service. Do you know of similar initiatives? What might such an Exchange look like? What services might you, as a teacher, researcher, or administrator, find most useful? 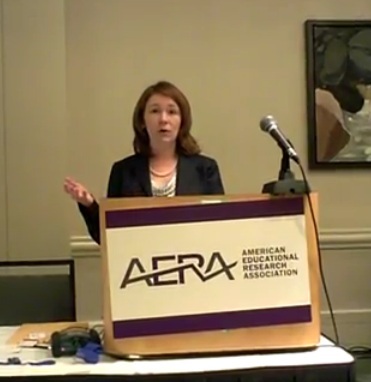 Here’s my presentation for the AERA 2012 communication workshop i cohosted with friend and colleague Ron Dietel of UCLA CRESST. I suggest things to consider when planning to use social media to share research findings with non-specialist audiences and the media. Educators and researchers often would like to see their work covered in the media more often, and more accurately. 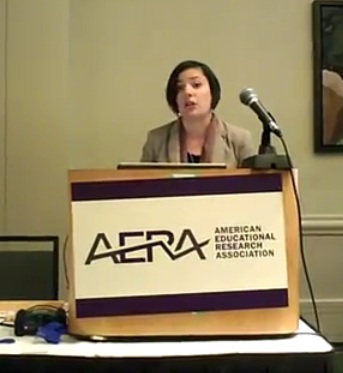 Here Education Week reporter Sarah D. Sparks discusses how to contact reporters and maintain relationships and how to rewrite academic papers for publication as news stories and Op-Ed pieces. Academics who blog about their work must walk a fine line between being candid and forthright, on the one hand, and being sensitive to the priorities and goals of their department and institution, on the other. Sara Goldrick-Rab is Associate Professor of Educational Policy Studies and Sociology at the U of Wisconsin-Madison. She discusses how she uses her blogging and twittering to communicate her research findings and her opinions. Blah Blah Blah: What to Do When Words Don’t Work. Portfolio/Penguin Books, 2011. 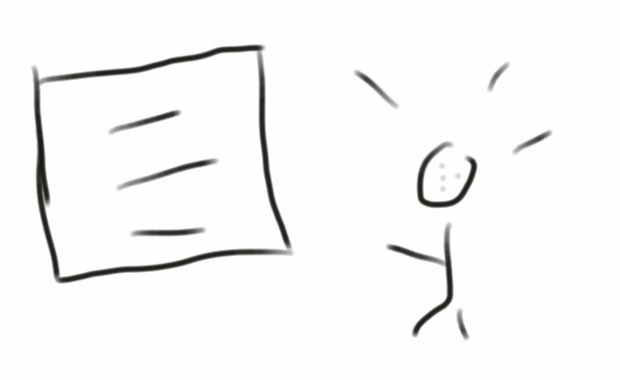 350 p.
Nothing helps us see a vague idea more clearly than trying to draw it out. 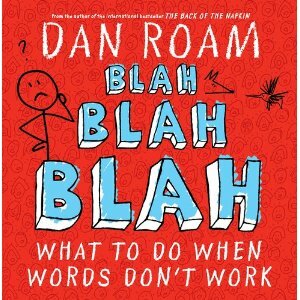 Dan Roam is all about clear communication, and his two previous books make that very clear. His previous two books, The Back of the Napkin and Unfolding the Napkin: The Hands-On Method for Solving Complex Problems with Simple Pictures, also demonstrate how we do ourselves a disservice by limiting our communication to words. This book expands on his central idea that we can, and should, communicate much more clearly by drawing simple pictures to help us clarify our message. Throughout eons of human development, Roam says, our ability to think has evolved along two different paths. One path specialized in seeing the world as lots of little pieces (Roam’s fox character, clever, witty, and linear), while the other path specialized in looking at the world as a whole (Roam’s hummingbird character, quick, exuberant, and spatial). With simple and very clear illustrations, he demonstrates how we can “get our visual mind back” by combining our our piece-by-piece (fox) and all-at-once (hummingbird) views. In words and pictures, Roam illustrates Einstein’s theory of relativity, the evolution of Starbuck’s coffee from Peet’s, Bernie Madoff’s investment scams, Coca-Cola’s marketing of VitaminWater, the history of the SAT test, and the development of communication from cave wall paintings to the alphabet. Characters who make informative appearances include Leno and Conan, The Medicis and the Rothschilds, Abraham Maslow, Leonardo da Vinci, Edwin Land, and Dmitri Mendeleyev. When Roam began The Back of the Napkin about five years ago, he started by asking, “If simple visuals are so powerful, why don’t more people use them?” Then he later realized his starting question was only half-right. The question isn’t “Why don’t more people think with pictures?,” because we DO think in pictures, all the time. The real question is, “Why have we forgotten that?” Blah Blah Blah is his answer. As in The Back of the Napkin, Roam offers tools to make it easier for us to think about and share complex ideas. The Napkin tools focused almost entirely on the pictorial, but the tools in this book show us how to combine our visual and verbal minds. One fundamental premise of this book is that we don’t need all the customary blah-blah-blah to get our message across. Regardless of what we want to say, we can make any idea clear and compelling, both to our audience and to ourselves. By learning to engage both our verbal mind and our visual mind we can improve any piece of communication. Every good idea can be made clearer, every missing idea can be found, and every misleading or fraudulent idea can be exposed.